In less than two years, as chairman of the MSKIB, Vishal has reinvigorated the economies of multiple rural areas and helped more than 1,000 residents increase their earnings, start building up their communities and empower their neighbors to do the same. In essence, he has affected a widespread and sustainable change in economy and culture throughout his corner of the world. It’s a tall order for any entrepreneur, but Vishal is proof that it can be done. What’s his secret to keeping it all moving forward? He shared with us just how he makes the time to make a difference. Below are five key takeways to help you make your mark in your own community. Tip #1. Form a strong network of support. To avoid the burnout that comes from being overcommitted, lean on the people around you to complete your tasks and to stay motivated. Vishal attributes much of his ability to make time and space for social giving to two sets of important people in his life: his family and his team of employees. He draws strength from his family to do what can sometimes feel like the impossible. He empowers staff at his business, which frees him to attend to other matters. Tip # 2. Constantly strive for balance. When you opt to add more to your proverbial plate, it’s crucial to find a way to do so without neglecting your other duties, responsibilities and interests. Vishal says we must actively try to achieve a sense of balance in life through trusting and empowering others. Tip #3. Maximize your impact by investing your time wisely. If you’re as busy as Vishal is—and most entrepreneurs are—your time is limited. It would be nice to tackle many issues facing your community at once, but it’s probably not the most practical, efficient or effective use of your time. Instead, concentrate your efforts to make a deeper impact. Select one or two core issues you’d like to address, and focus on those with the little time you have. 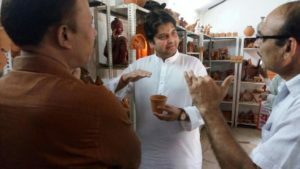 To maximize his impact in rural areas throughout Maharashtra, Vishal focused on helping craftspeople in two industries: handcrafted footwear and honey. “Since I have a limited tenure at the Board, I know I will not be able to change everything. Hence I carefully selected two verticals of significance to work around,” he shares. Read more stories about entrepreneurs making a mark in their community and around the world. Tip #4. Set clear and realistic goals. When you decide it’s time for you to “make a difference” in your community, you have to know exactly what you are aiming to accomplish—and be specific. Ask yourself, what change or changes do I want to see in my community at the end of this project or venture or within a specific amount of time? Vishal is clear that he wants to enable honey and leather footwear entrepreneurs in rural areas to innovate their business models and scale their businesses immediately. In less than two years, he has reinvigorated the heritage footwear industry in Kolhapur and the agro-ecologically sensitive honey segment as well as redesigned a branded retail structure for both industries. For a detailed description of how Vishal has cultivated a culture of entrepreneurship in small villages across Kolhapur, turn to our companion piece in Inc. Tip #5. Put a sustainable plan in motion. Social good and community development work is inherently about the communities where it’s done. So when you’re designing the projects you’d like to implement for the benefit of your community, they should be designed to outlive your participation. From the outset, you’ll want to have a clear idea of who, apart from you, will keep the work going if you have to step away from it. 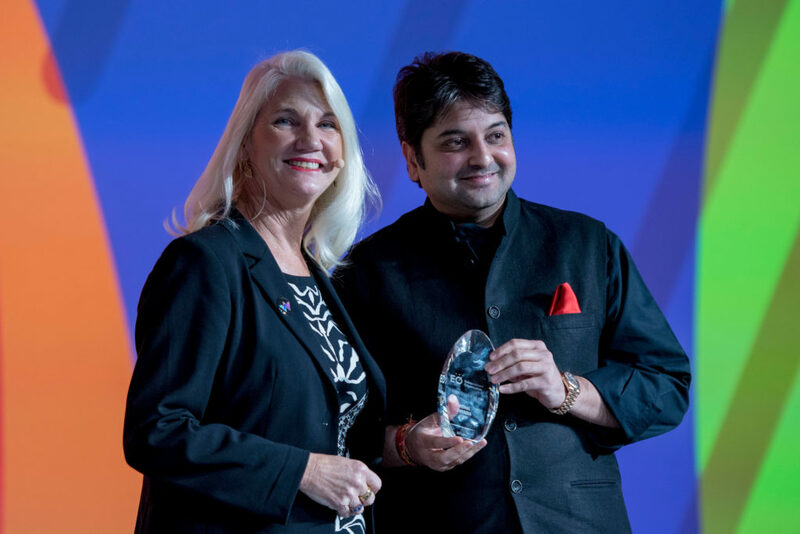 Putting these five tips into action has not only earned Vishal a well-deserved nomination for—and the honor of winning—2018 EO Global Citizen of the Year, but has also touched the lives of thousands of entrepreneurs and counting. There’s no telling the difference you can make, if you use these tips to help make time in your busy schedule for social good work. Making a mark is simply how we roll—in fact, it’s one of EO’s core values. Learn more about EO and how you can join our global community of entrepreneurs.